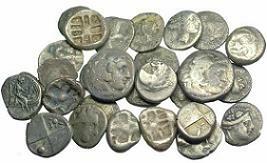 Ancient coins would be a perfect coin collection for you, if you are interested in ancient history. The era of Roman emperors and gladiators and Greek gods and goddesses is a fascinating time in history and it is reflected in these unique and beautiful coins. 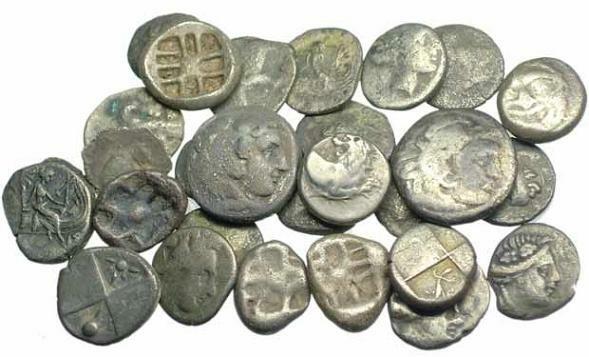 The first coins were made by the Greeks in the 7th Century BC. They didn't look much like coins as we know them today. They were basically a lump of metal, sometimes with the weight stamped into them. Ancient coins are great as historical records. They remain to tell their stories while untold numbers of sheepskin and papyrus records have deteriorated away. The stories they tell are in the images and inscriptions they contain, including deaths and births, marriages, and battle victories. These old coins may be a little harder to read than modern coins, but books are available to help the collector interested in ancient coin collecting. Ancient Greek Coins – The Ancient Greeks made some of the most beautiful coins you will ever see in the years between 500 BC and 400 BC. They loved to use images of gods and goddesses on their coins. 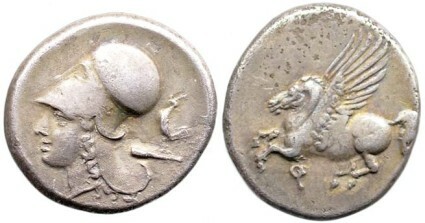 Nymphs and mythological figures and even Pegasus the flying horse are also depicted on a lot of ancient Greek coins. You can also find Ancient Greek Coins that depict animals such as crabs, rabbits, dolphins, eagles, lions, horses, even an octopus, as well as grapes, wheat and roses. The Greeks however, did not use portraits of people in their designs. Alexander the Great was not even depicted on a coin until he had been converted to a god after his death. The basic unit of Greek money, then and now, is the drachm or drachma. There was also a tetradrachm and a decadrachm. 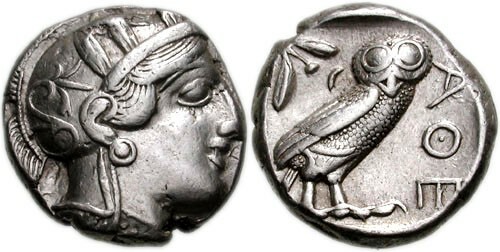 Since tetra means four, a tetradrachm is equal in value to four drachm and a decadrachm was equal to ten. Ancient Roman Coins – Each time a new Roman ruler would come into power, he would issue his own coins, and along with god and goddesses they also loved to use images of themselves or their wife or children on their coins. They too, like the Greeks, used their coins to tell about important events, especially military victories. A couple of sub-categories of Roman coins you might consider are the coins of the 12 Caesars or Brutus’s Ides of March denarius. Ancient Roman coins are a popular coin for collectors, probably because they are plentiful and inexpensive. Roman coins from the 3rd and 4th century AD are the most common coins from ancient times. Biblical Coins – The widow's mite, mentioned in Mark 12:41-44, is probably the most familiar coin of the bible, however several other coins are also mentioned in the Bible including the drachm, denarius, and shekel. "Did Jesus hold this very coin?" that belonged to the widow?" Byzantine Coins – The Byzantine Empire replaced the Roman Empire after it fell. Byzantine coins also depicted rulers of the time, but they are also popular for their religious symbols which include images of Christ, crosses and other Christian images. Note: Remember to, "Buy the book before you buy the coin." Ancient Collectable Coins can be found at your local coin dealer’s shop, online dealers, coin shows, and online auctions.